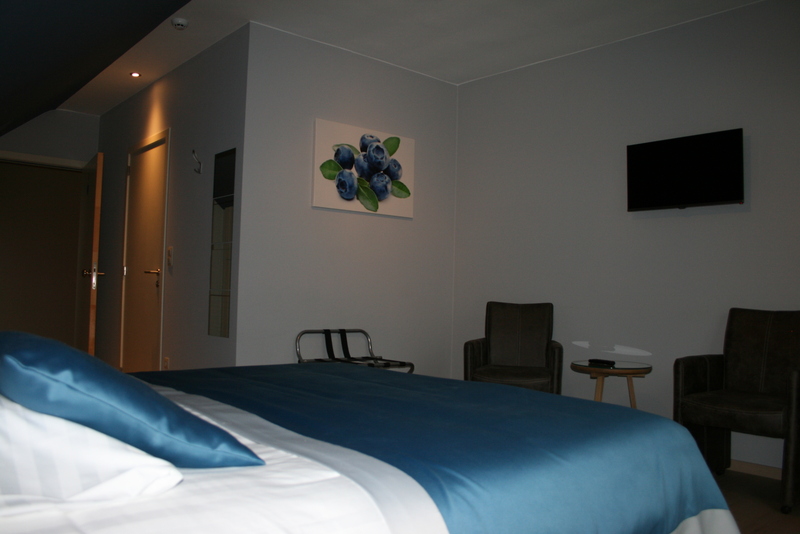 Our 14 guest rooms are situated on the ground (1) and first (13) floors. 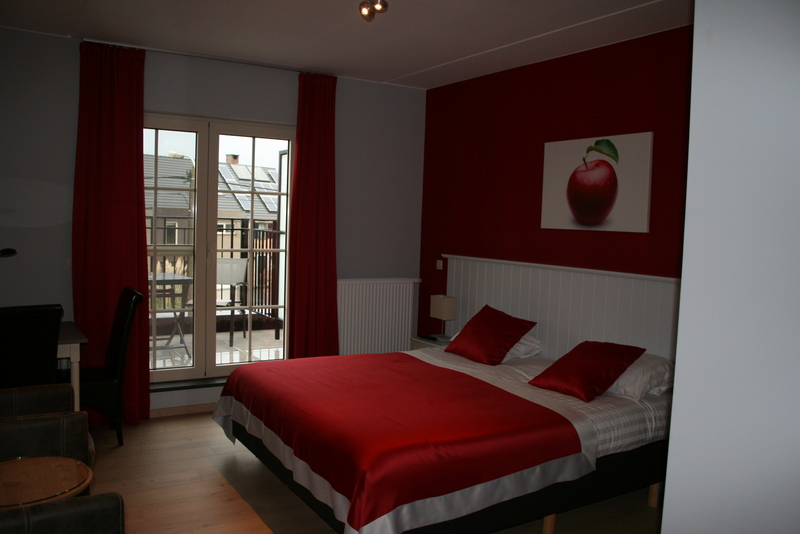 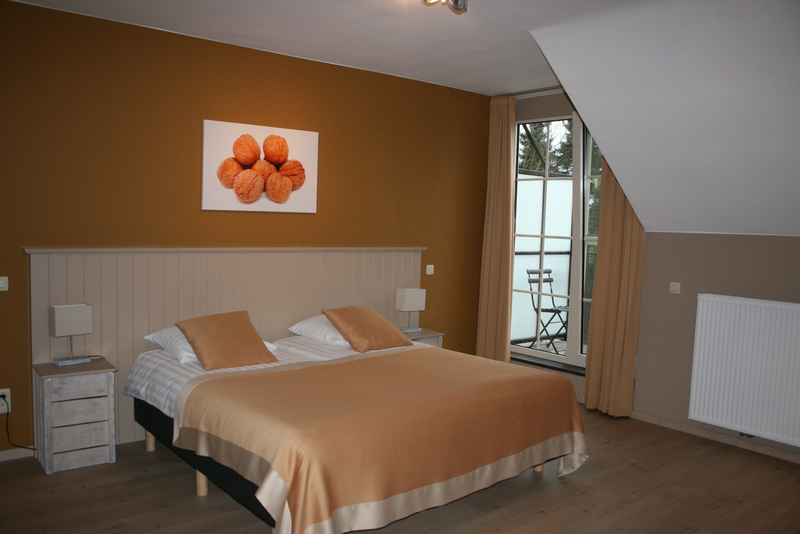 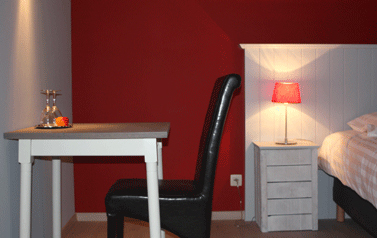 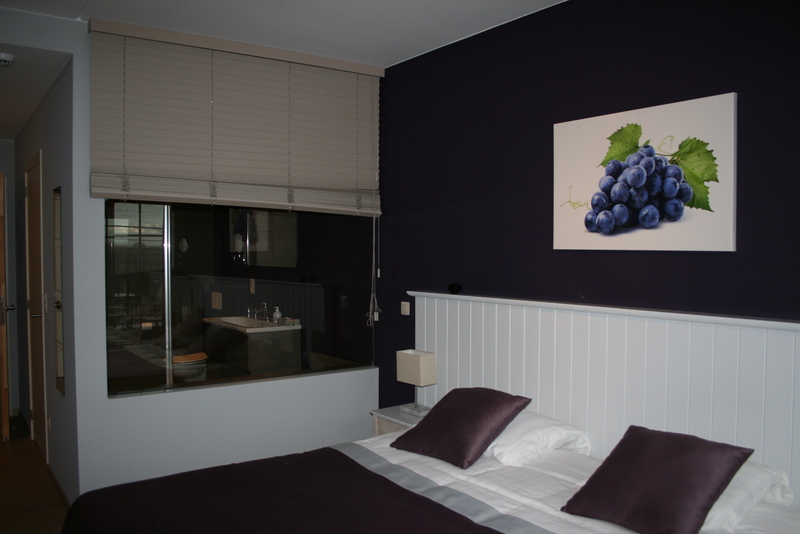 Each room has a separate bathroom fully equipped with a toilet, wash basin shower, hairdryer en bath linen. 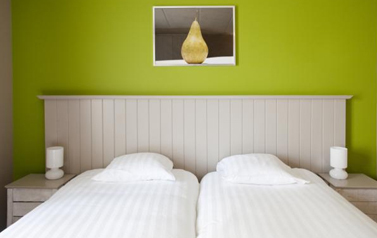 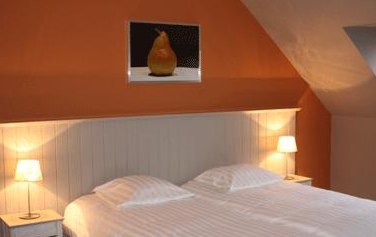 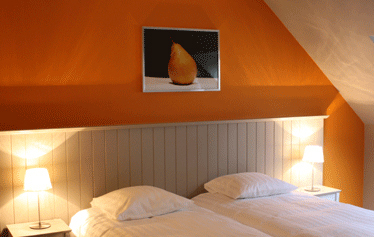 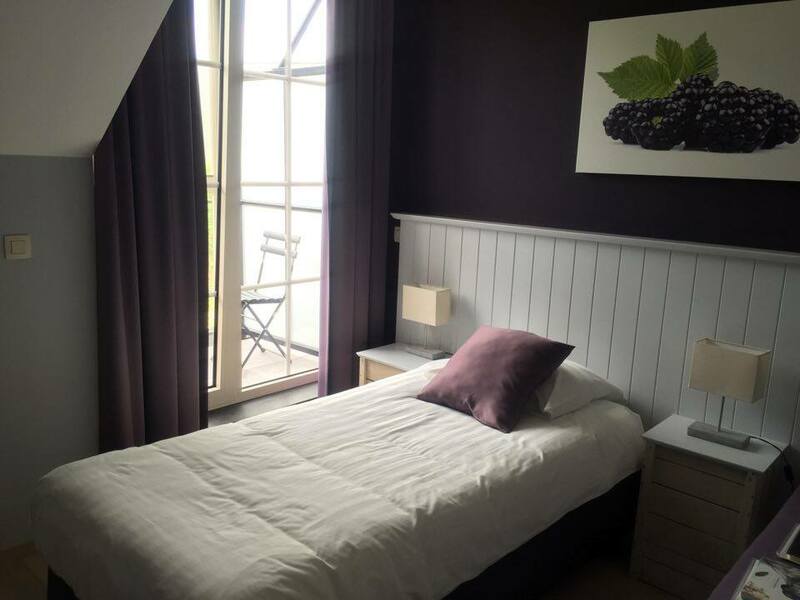 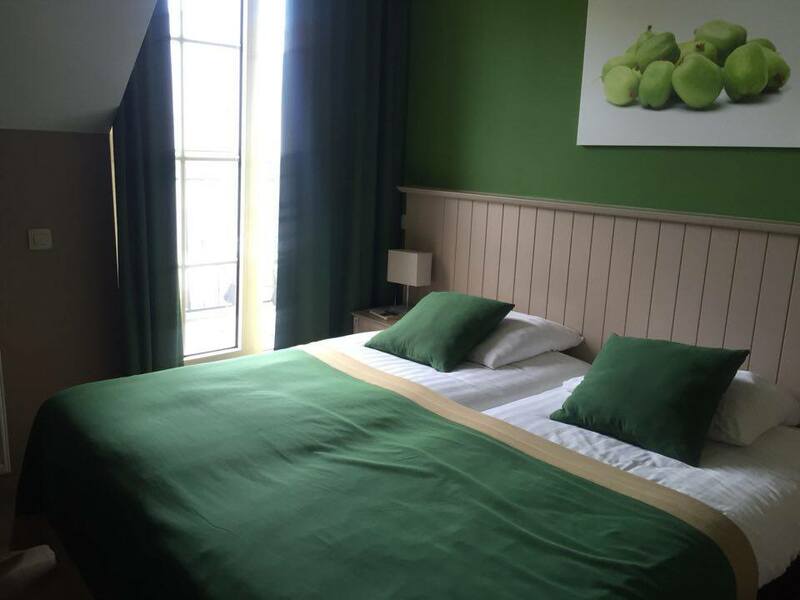 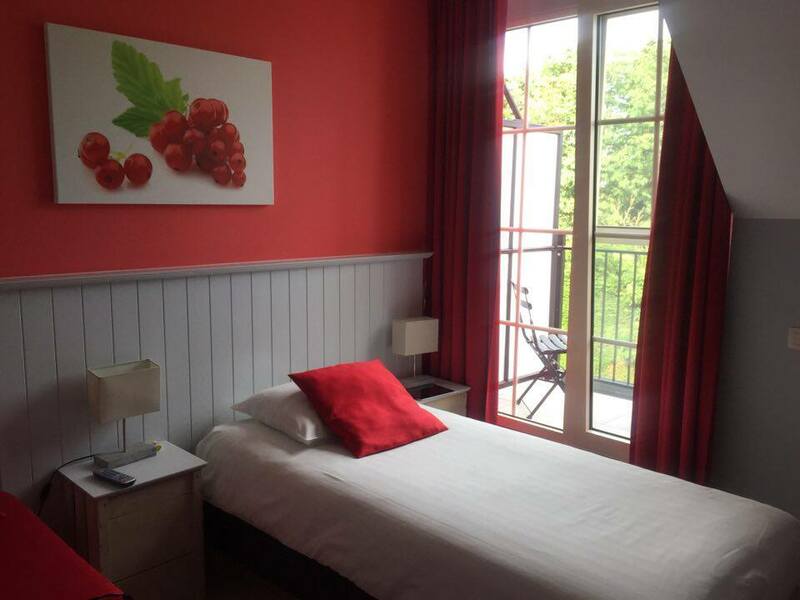 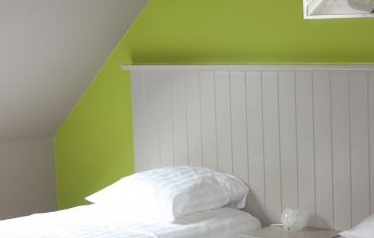 Our stylish rooms carry the names of apples or pears grown at our fruit farm, and are painted and elegantly furnished in perfect harmony with the name and colour of the chosen fruit. 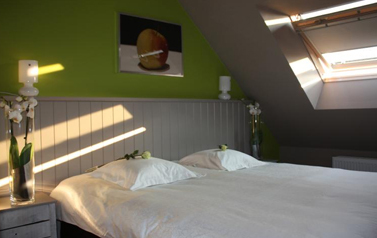 * Special prices for longer stay ! 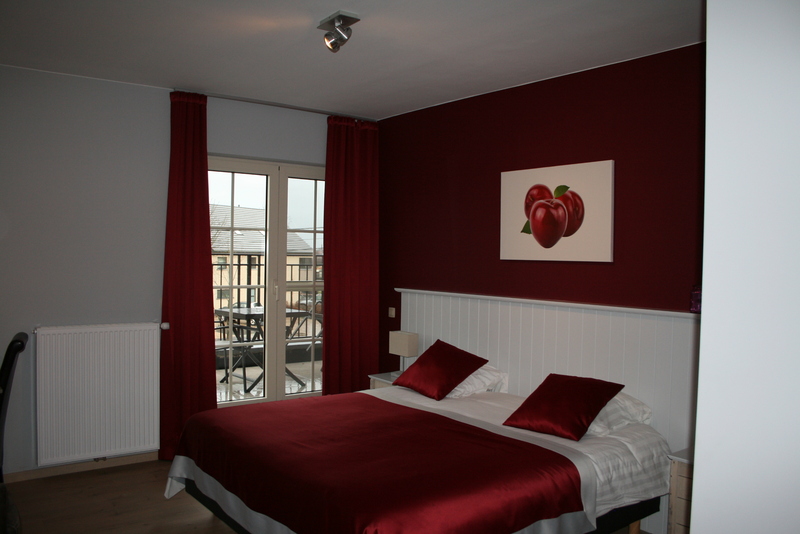 >> Ground level room for 1 à 2 pers.